All the answers, tricks and training techniques to keep your Boxer dog happy and healthy! 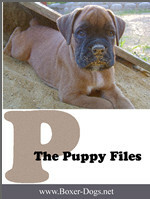 "All About Boxers covers everything you need to know about taking care of, maintaining and training your Boxer in one handy Guide which both current and prospective Boxer owners will love!" 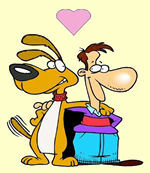 Boxer dogs are loyal, quick to learn and eager to please, patient, and always ready to play at a moments notice. Their high intelligence has led them to be widely used as assistance dogs, police dogs and rescue dogs, but they are also wonderful family pets, and will calmly suffer the pokes and prods of children, always happy to spend time with their 'people'. All About Boxers has been written to help you better understand your boxer; how take care of and love him, make him happy, keep him healthy, so that in turn he will better understand you and listen to you, love you and make YOU a better person during your incredible life journey together! Whether it's on the agility course or guarding the backyard from visiting cats, the Boxer is always ready for the challenge. As your Boxer's human companion you will undoubtledly be the center of its universe, and the chances are it will become the center of yours too. 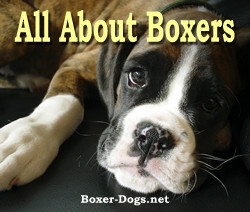 All About Boxers covers everything you need to know about taking care of, maintaining and training your Boxer in one handy Guide which both current and future Boxer owners will love! Nutrition, including eating related conditions you need to be prepared for, and a list of foods you boxer should definately NOT eat! Caring for your boxer in his old age. And that's just a fraction of what you get with All About Boxers! and then breathe on you with that puppy breath! Do you know how to interact with your dog every day in a way that establishes you as the leader of the pack but still your boxer's best bud? Learn how your boxer thinks AND how to work with that thought process rather than against it, and learn along with an entertaining, interesting 35 minute audio-visual presentation! 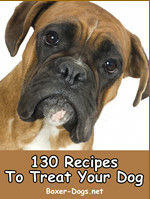 Treat your best friend to some home-cooked treats (s)he's sure to enjoy!! 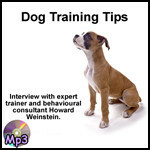 Over 1 hour of Training Tips in mp3 audio format from expert trainer and behavioural consultant Howard Weinstein. "You Are Literally Only Minutes Away From.."
Unlike other books that can take days or even weeks to arrive, 'All About Boxers' (and bonuses) is a downloadable book that you can begin reading in the next 5-minutes. and you will be downloading everything listed within a few minutes. (even if it�s 2:00 am in the morning). Wishing you and your Boxer years of fun and happiness. P.S. Remember, you will not find these items in any stores. You can only get this package online. Find all the answers, tricks and training techniques you�ll ever need for your Boxer in this handy downloadable package. Click here and get instant access right now.